Dave’s hot dogs are our numero uno, top secret product. Dave has the dogs made especially for him on the east coast of the United States. Once you try this delicious dog you will be back for another! 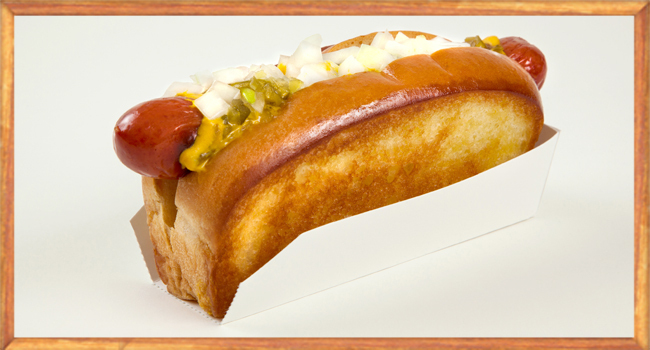 The Boston Dog is served on our Famous Signature Bun with onions, relish and our old fashioned yellow mustard.